Hello friends. I'm Nels Wilson. For more than 42 years I have been dedicated to serving Christ through Christian radio station KBGN AM. KBGN was born decades ago when evangelist Demcy Mylar and architect Harold Shaw nurtured a vision to bring Christian radio to Idaho. In 1960, KBGN became Idaho's very first Christian radio station. Beginning with only 1000 Watts of power at 910 on the AM dial, God's word was sent forth from studios in Caldwell. Then in 1976, shortly after I joined this ministry, it became necessary to remove our broadcast tower, making room for a new city airport. Since we had to build a new transmitting facility elsewhere, it was decided to also change our broadcast frequency to 1060 kilohertz and increase power to 10,000 watts. With a used transmitter, we began to deliver God's message much farther throughout Southwest Idaho and Eastern Oregon. Now some 50 years old, with its voracious appetite for electricity and tubes, that transmitter is becoming ever more costly to operate. Manufacturer support ceased long ago, repair components are expensive and hard to find, and power tubes must routinely be replaced at a cost approaching $2000 each. However, while trusting God for wisdom and direction, our limited ingenuity and tenacity have been multiplied as we have kept the old transmitter beaming forth the Good News for over 42 years. Clearly, the old transmitter is tired and the time has come for a new unit that is more compact, efficient, technologically advanced and serviceable, at a cost of nearly $50,000. Adding to the current financial burden was the recent failure of the microwave system which links audio and control signals between our studio and transmitter sites. Though manufacturer support is no longer available, we have repaired that system several times. Because our last repair efforts were unsuccessful, a new and better microwave system had to be installed at a cost of more than $5000. With these necessary improvements, our broadcast facility will be well set for future ministry to the people of Southwest Idaho and Eastern Oregon. Throughout my many years here, I have heard time and again of souls who have been blessed by the edifying messages and music heard over KBGN. For nearly six decades now, the ministry has been able to Keep Broadcasting Good News because many who are being blessed keep supporting their favorite radio programs with prayer and gifts, some of which are shared with us. Here at KBGN, as we take care to discern and do what God wants, he never fails to take care of us. With that in mind, having taken on this extraordinary expense, we are now giving those who appreciate our faithful ministry an opportunity to share in the cost of this essential new transmitting equipment. Your gift will help KBGN to speak with an even clearer voice as we broadcast an unwavering Christian message to the growing population of Southwest Idaho and Eastern Oregon. 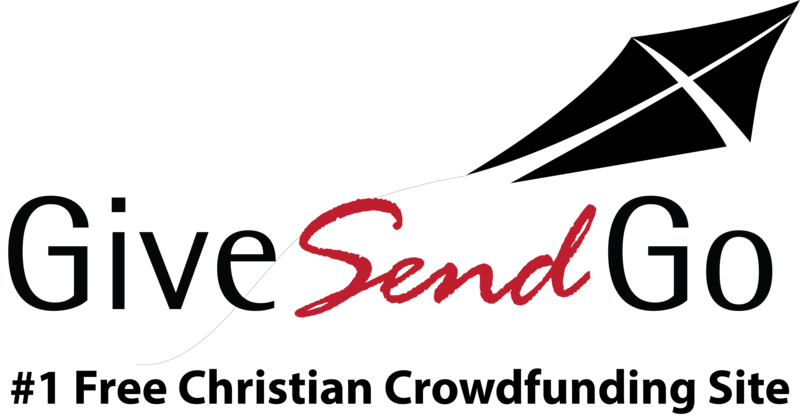 To make it easier to share your gift, we have established this GiveSendGo Christian funding account. Thanks for supporting Christian radio for Southwest Idaho and Eastern Oregon! Maintaining the old transmitter became quite a challenge. The black component in the second photograph below is a special high power capacitor which failed, doing serious damage to the inductor below it. Next you see a resistor that has been stressed by decades of service in the intense heat of a power tube cabinet. The new modular transmitter is much smaller and uses an entirely different system to produce its robust radio signal. With its much more efficient transistor technology, there is no need for the routine replacement of very expensive vacuum tubes like the huge power tube pictured above on the right. The single transmitter pictured below will support our 10,000 Watt daytime authorization as well as the various lower powered pre-sunrise and post-sunset authorizations. No longer will we need to operate two separate transmitters. The older PSRA/PSSA transmitter will be kept as a backup unit. Thanks again for helping to carry the load. "Thank you for your family's consistent and faithful audio publishing of the Word. I have been listening for over 30 years.... I can tell that you carefully choose basic bible teaching programs.... I believe your family is making a great difference in our Idaho world." "I really enjoy your Christmas music this time of year. Wishing you all a blessed Christmas -"
"Donation toward your new transmitter. I'm thankful for it." "'All we have comes from God and we give it out of His hand' -- a Dutch paraphrase of 1 Chronicles 29:14b"
The donor requested that this gift be credited to Melvin and Lucille Davenport. Melvin, of Davenport Engineers, was a friend and associate of KBGN founder, Harold Shaw. Melvin, a surveying engineer, was instrumental in the establishment of KBGN. "This small gift is to help upgrade KBGN in 2018. The best to all at KBGN in 2019." "I want to thank you for your meaningful Christian music and programing. I listen daily.....Thank you for the good Christian witness." Thanks for the visit, Lonnie. Keep serving! "KBGN contribution toward updating radio equipment. Thank you for broadcasting Christian radio programs." May God continue to bless your ministry with broadcasting the Good News for many years to come. "Thank you for your dedication to KBGN. It is good to be able to hear the good news of Jesus. I am recovering from knee surgery and listen long as I am on my back doing exercises and icing. Helps with pain and boredom. I know Jesus and that he cares for me and loves me. Use enclosed to get a new transmitter and God continue to bless. Love & prayers"
"Please accept this little bit of help for the new transmitter. Thank you for being there - I love KBGN. God continue to bless you." "We lost our income. This is Social Security money. We don't hear KBGN al, but love it when we can. We pray for you and a new trans(mitter) and all equipment yo need. Wish we could do more." We moved into the area five and half years ago and have so appreciated your station. "Glad to hear your announcement on 9/22/18 of the need for equipment updating. Please continue announcing your need to your listeners. We knew there were problems that needed attention. Thank you for your service to the Treasure Valley and beyond. God bless you, Nancy "
"You have blessed me for many years." Let's Keep Broadcasting Good News! "I'm still praying that God takes care of that $60k for the transmitter and all. The included $30 is to help. Thanks for your service! It's been quite some time since we posted an update to this project. In fact, my last update was posted on Christmas Eve. Before I address the transmitter project, let me tell you about my cancer affliction which I mentioned in that last post. I am praising the Lord for having successfully endured radical prostatectomy surgery. I was blessed to have had such a skilled surgeon as Dr. Donald Stritzke and such good care as I received from the nursing staff at West Valley Medical Center. The cancer that was found in one half of my prostate had not breached the prostate wall and no cancer was found in the lymph nodes which were removed and examined. While it is presumed that all cancer was removed and no further treatment (no radiation or chemotherapy) was called for, I will be having my Prostate Specific Antigen level checked for some years in order to be sure that no cancer cells were missed. Though my surgery was done on March 5, and my recovery is going very well, I have been instructed to remain minimally active during several more weeks of recuperation. I am aware of and thankful for so many who have prayed for me during this trial. Thanks for your continued prayers for my full recuperation. Our merciful Heavenly Father has been so good to me. Now, too, we are praising the Lord for the new KBGN transmitter which has been on the air for several months. While the installation of the control system for the older backup transmitter was interrupted by my health issue, the new main transmitter is functioning without a hitch and is delivering the best radio signal that we have ever broadcast in all these nearly sixty years of sending God's message of truth throughout Southwest Idaho and Eastern Oregon. While this 'Give Send Go' site shows that we have now received 35 percent of our gift target, I am pleased to report that these generous gifts, coupled with some of our personal savings and other KBGN operating funds have allowed us to retire the debt that was incurred when we bought the new transmitter. For the time being we will leave this KBGN Transmitter Fund site active so that ministry friends can still share gifts toward the project and help to offset other operating expenses which must be met as we continue to broadcast the message of eternal life through Jesus Christ via our new, more robust, and purer radio signal. Thank you for praying for KBGN and sharing your gifts via this site, directly to KBGN, or through the many programs we broadcast. It's Christmas Eve and KBGN has a new transmitter on the air! The new Broadcast Electronics AM 10A transmitter began broadcasting KBGN's regular programming at sign-on Saturday morning. The new transmitter easily delivers a fully modulated, clear, and accurate signal. The changeover began at sign-off Friday when the antenna system was disconnected from the old Sparta/Bauer transmitter and connected to the new unit. After the new transmitter was tuned to match the antenna system, assuring that it would operate properly, the tedious process of disconnecting the old remote control system and connecting the new was begun. Enough of the myriad interface connections had been made just barely in time to manually activate the new transmitter at sign-on time. It is great to have the new transmitter delivering the life-giving message of Jesus Christ to Southwest Idaho and Eastern Oregon with a robust and clear voice. Our thanks go out to all who have prayed and otherwise supported this important improvement to this radio ministry. Without folks like you, KBGN could not exist; your continuing support is greatly needed and appreciated. Grant Wilson disconnected the antenna coaxial cable from the old transmitter hardline and Nels Wilson connected it to the hardline from the new transmitter. Nels explained some things to Grant during the initial process of tuning the new KBGN transmitter to the antenna system. John Runkle, the engineer who “made things happen” long ago when KBGN was moved to its present transmitter location, was on hand early Saturday to witness the results of his integral assistance on this current project as well. He was heard to quietly remark something about this being “a nice Christmas gift for Jesus.” Well said, John! All people are born absent of spiritual life; yet, if they hear the truth of their condition and that God sent his only son, Jesus, to substitute for them and suffer the punishment which their sins deserve, they then have the information needed to respond in acceptance of God's cure and receive the eternal life which he freely offers. It is our duty and mission to share this, life's most important message, to as many as will listen throughout the Treasure Valley and beyond. Having heard this truth, you have an important decision to make; spiritual death is unnecessary; in simple faith and without delay, accept the eternal life Christ offers. At KBGN we are committed to sharing this important message! We are now doing preliminary low power operational testing of the new transmitter. Operating the transmitter while it is connected to a "dummy load" antenna substitute will help us to discern whether the design of our new control system needs to be adjusted. When we're satisfied, we will disconnect the current installation and make the final connections for the new control system that will remotely and automatically manipulate the new transmitter; it will also allow control of the older backup transmitter. Assuming that there will be few necessary adjustments, the new transmitter should take to the air in a few short days. Please pray for a successful launch. The design process for our new transmitter's electrical interface and computer control system has been completed and we're close to finishing the tedious interconnection phase. We are greatly encouraged by those who have shown their interest in this project by sharing prayers, comments, and tangible resources, as well as by visiting this link. As we near completion of the transmitter installation, we once again thank you for your important support of this radio ministry to Southwest Idaho and Eastern Oregon...and Merry Christmas! from your friends at KBGN! With the completion of the design for the remote transmitter controll interface, we are moving into the wiring stage. As can be seen from the following photo, the connections are very complex and will require very deliberate and careful work. bringing Good News to Southwestern Idaho and Eastern Oregon. Many thanks to those who have prayed and shared for this transmitter project. Though the transmitter has been set into place, it will take some time to complete the installation, placing power modules, making antenna switch connections, and designing remote automation controls and interface. View toward Boise from atop KBGN tower.